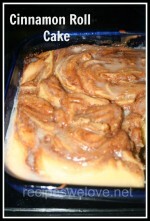 My Hubby LOVES THESE and I make a big batch cook them then freeze them. To use later all you do is put the frozen turnover in the oven at 350 for about 20 minutes until warmed through. These are great for breakfast or lunch, and John has them a lot for lunch with baked french fries or leftover side dishes. 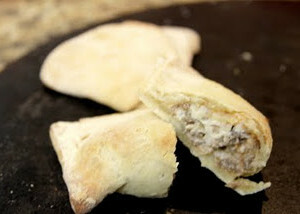 I got this recipe from one of my favorite cooking blogs http://stolenmomentscooking.com/sausage-and-cheese-turnovers/. Crescent Roll Dough full batch (if you don't have the want or time to make the homemade dough that is below, you can use canned crescent roils, you may need up to 3 cans). Prepare dough recipe below and let dough rise fully. Divide into 7 portions. In a large bowl, combine cooked sausage, cream cheese, cheddar cheese, onions, and garlic and pepper. stir till combined well. Roll out on 3 portions of dough at a time on a floured surface, roll into a rectangle about 1/4 inch thick. then cut into rectangle pieces -- 6 or 8 sections. Place about 1 Tablespoon ( I use a small ice cream scoop) into the center or each cut section. I put a little water around the edge of the dough and fold over and seal the seams of the dough. Bake at 375 for 15-18 mins or until lightly browned on top. These are not big and fluffy like deli crescents but great with a little honey over as a small dinner bread. I make a double batch when I do the above turnovers and so I can cook a few crescents to freeze, as well as freezing some of the dough for later use. Dissolve the yeast in the warm water in large bowl. Add the milk, butter pieces, sugar, potato flakes, eggs and salt into the bowl. stir just to combine. Add three cups of flour and mix well, stirring until smooth. add as much of the remaining flour as possible till a stiff dough forms. Knead a few times, cover and let rise for 15 mins. 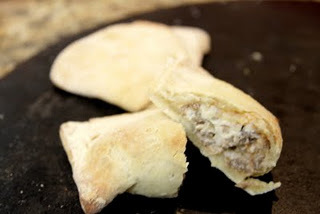 Divide dough into half into a circle about 1/2 inch thick. Cut each circle into even wedges, about 16-18. Roll the wedges from the wide end to the point. curve ends slightly and place on cookie sheet. cover and let rise for one hour. bake at 350 for 15-18 mins.